Machu Picchu is one of the best places to visit, not only in South America but in the whole world, this is why you should be careful when deciding when to go. There is a big difference in coming to Cusco and Machu Picchu in high season or in low season. 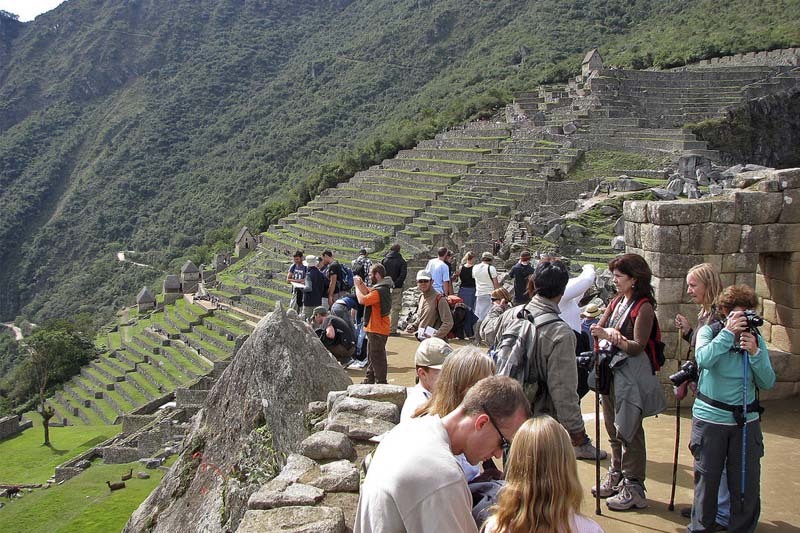 The high season coincides with the dry season and is considered one of the best times to visit Machu Picchu. When is the high season in Machu Picchu? Machu Picchu has two very marked climatic seasons, these define the amount of people that come to Machu Picchu; “The low season” coincides with the rains that fall in the region from December to May. “The high season” coincides with the dry season and goes from April to October, within this period (high season), the largest influx of visitors occurs in the months of June, July and August; this agrees with the holiday period in many countries, with the national holidays in Peru and with other very important celebrations in the city of Cusco. In this post we will explain the advantages and disadvantages of coming to Machu Picchu in Cusco during the high season; Well, although it is considered one of the best times to visit the Inca city, coming to Machu Picchu and Cusco in the rainy season, has its advantages. The climates of the months of June, July and August, grant some of the best times of the year to visit Machu Picchu, the sky is blue, the rains are absent, the days are warm, although the nights are cold, especially in the month of June. This season allows you to take some of the best views of the Inca City of Machu Picchu. In June, Cusco is celebrating its anniversary and other traditional celebrations. Some of them are celebrated since the time of the Incas, such as “La Fiesta del Sol o Inti Raymi“, a traditional Andean festival celebrated during the winter solstice. In the month of July the patriotic celebrations in Peru are celebrated, with celebrations, parades and dances in each department of the country; In Cusco, the celebrations have a special Andean flavor. Peru is the main gastronomic destination of the world and as you can imagine, all the celebrations in this country are accompanied by food; During this month some of the best gastronomic fairs in the country are held. The cultural experience in one of the most cosmopolitan cities in the world is invaluable, you can enjoy not only the Andean and Inca culture in Cusco and Machu Picchu, but also the culture of many people from different parts of the world, together in the navel of the world, the ancient capital of the Inca Empire. It is very unlikely that I can enter the Inca city in high season, if I do not book Machu Picchu tickets months in advance. The high season in Machu Picchu is due to the coincidence with the vacation period in many countries, this makes thousands of people choose this same moment to travel to Cusco and Machu Picchu; But it’s not just Cusco, but Peru in general, if you do not like the crowds, it’s not your time to come. If you do not book “everything” in advance, you may have problems getting accommodations, guides or certain tours, such as the entrance to the Inca Trail or the precious Huayna Picchu Ticket, which must be booked months in advance. Also don’t forget to book your train tickets. If you do not book a hotel in advance, you will find that most of them are already booked, and those that still have free spaces, will charge you up to double your normal rate. 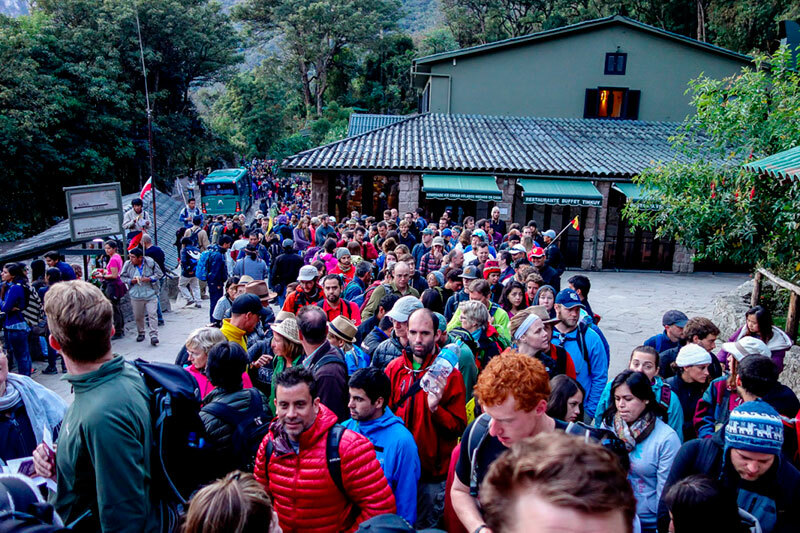 The high season in Machu Picchu makes that “everything”, absolutely everything must be booked in advance, otherwise you may find yourself in trouble to get to Machu Picchu; if you want to ensure your entrance to Machu Picchu, please contact us through info@boletomachupicchu.com.